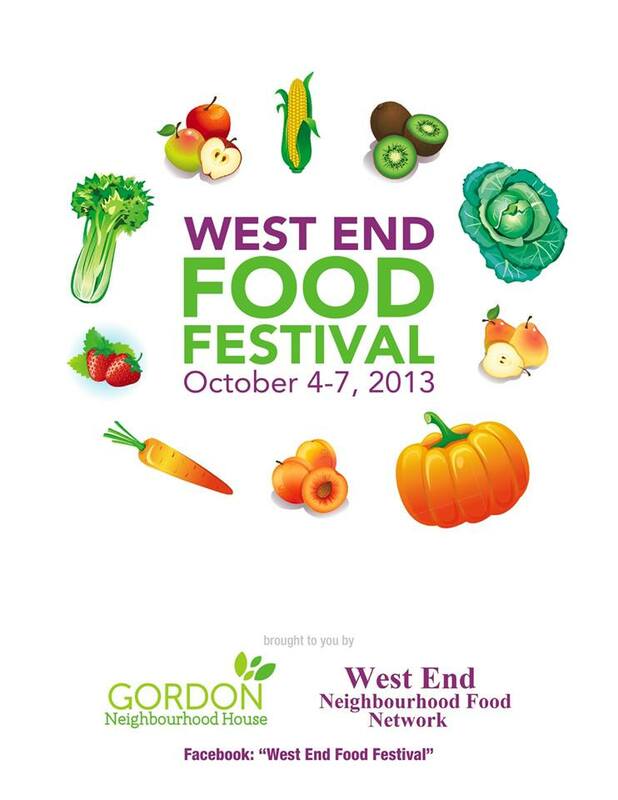 West End Food Festival October 4 to 7, 2013 – JOIN THESE EVENTS! Gordon Neighbourhood House and the West End Neighbourhood Food Network are partnering to host the first annual West End Food Festival in this Vancouver neighbourhood! Village Vancouver is a partner on some events. Many activities are planned. When: Friday, October 4 to Monday, October 7, 2013. The goal of the Festival is to facilitate connection, dialogue and friendship over the celebration of food. The West End Food Festival includes a planting workshop for families, a chance to sample food from an array of West-end chefs, a tour of our local community gardens, a community potluck (4-6 pm Sunday Oct 6 at Gordon Neighbourhood House), a panel on food insecurity (7 pm Monday Oct 7 at West End Community Centre), live music and so much more. You can view the event schedule below. Come on out to meet your neighbours and enjoy some great food at the Festival. A fabulous yard sale and BBQ brought to you by The Attic Thrift Store – everything priced at $1.00. Enjoy music and barbecued food while you browse the bargains. Join us for an evening of fun, food, music and community! samples from West End restaurants and shops, and more. Meet at Gordon Neighbourhood House. Vancouver Food Bank Black Box. or six people, and enjoy sampling others’ culinary creation. Please bring your own plate and cutlery. Do you have any old or extra cookbooks you want to share? Bring them to GNH and swap for others’ books. Here’s your chance to learn new dishes! issues of food security. Panel participants represent a wide spectrum of people, from activists to food providers.